Get Up to 35% cashback on Domestic Hotels. Cashback applicable on pay through CITI bank debit and credit cards. Offer valid on every Tuesday during the offer period. Minimum booking amount of Rs. 3000 required to avail the offer. Offer valid on selected hotels. Pay Via Citi bank & get FLAT 25% Cashback On International Hotel Bookings. Use the given offer code CITYSUPER and get maximum discounts on your traveling. A user can avail max 5 bookings in a month by using any MMT offer code on hotel bookings. This offer is valid for bookings made on the MakeMyTrip website & MakeMyTrip App. No minimum value is required to get this offer. MakeMyTrip offers amazing discounts on traveling. Book any hotel from MakeMyTrip and get 35% cashback on domestic hotels when you pay through Citi bank credit or debit cards. Offer is valid on all Tuesdays and is valid for all users. Apply MakeMyTrip coupons code for extra savings. Cashback will be credited in 60 days of booking by Citibank. Book today and enjoy the savings on travel. Grab this offer before it ends! A minimum of 250 Reward points is required to avail this feature. A user can use this feature on bookings made through MakeMyTrip website and app. The offer is provided by Citibank. other information you can get from the landing page of this offer. Get this deal before it expires. World’s one of the most old bank always stands ahead when it comes to ultimate banking services. In 1902, Citibank extended its banking services in India. Today, Citibank corporate office and branches are present in all major cities to service Indians across the nation. Eliminating dependency on cash was the major target of the bank. Beside, CitiBank also facilitates its lovely customers with exclusive discount offers and coupon codes to make them save more while online shop. Citigroup is the parent organization of CitiBank, which made a huge impact on financial services in the 18th century across the united states of America. As of now, the bank has reached to top level with the presence of approx. 2650 in almost 19 countries across the world including United States, Mexico, Poland, India and many more. Since its inception in India, Bank brought a plethora of projects by providing financial help or direct investment. 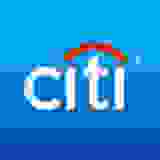 In addition, CitiBank helped in the establishment of many IT companies. Citibank is headquartered in Mumbai with various branches across India. Recently, Citibank launched Citi Master Pass which is India’s first global wallet to enjoy cashless services everywhere with no hectic. Also, launched voice-based biometric authentication services over the phone to enhance banking services. Such innovations keep bank to remain the best choice of its gorgeous customers. Its edge-cutting technology and user-friendly design of its portal and mobile will give best online banking experience ever you have in your life. The banking world is advancing every day with innovation and discoveries. Every bank strives hard to remain in this race or to stay ahead of others to meet expectations of its clients. furthermore, when it comes to CitiBank, then you must feel free and happy as you are the client of world's leading bank. In 1993, it got the title of the first bank to start 24 hours phone bank services. In fact list of such milestone is endless. Now, Citibank offers all the normal banking service which are also being offered by other banks, for instance, Home Loans, wealth management, normal banking services, Insurance and credit cards. Apart from this, NRI banking is one of the crucial services for Indians who live outside. They can buy something for their loved ones or can avail CitiBank's banking services from anywhere. Are gone the days when you had to go outside to pay your utility bill to prevent late fee or hidden charges. But having Citibank debit/credit card mean the whole world is in your pocket, not really that but make most out of it. Like buy anything from the Internet and pay through your bank card just like a cake walk. The most remarkable thing here is special offers which result in tremendous rewards and money saving opportunity. Unlike other banking giants, Citibank never keeps its serviced limited to the online transaction, loan, insurance etc. but always try to come up with incredible shopping discount offers to help Citibank users to save more while they shop online. Generally, CitiBank is linked with various eCommerce giants worldwide. To make you save a plenty of money, CitiBank regularly generate discount coupons which are also listed on DealsShutter right here at this page. Avail discount offers for MakeMyTrip, Bigbasket, Goibibo, easy dinner, Shoppersstop and many more. Its always been an easy to redeem voucher while placing an online order or checking out. All you need to do just follow the below-illustrated steps. Add essential goods to your cart and hit pay now or check out button of red color to proceed further. Cross check all the items in terms of color or requirement. is it seems ok then proceed! Select shipping type of selected items. Now, the discount amount would be subtracted from MRP. Pay amount and provide other required detail. According to their tagline “Citi Never Sleeps”, CitiBank believes in quick banking solutions. Citibank customer support team remains up 24*7 to resolve banking issue in the real time. Customer services remain open between 9 am to 7 pm (Monday to Saturday). +91 22 4955 2484 (For NRI’s or to call outside from India).